I plan on going to Cuba for some deep exploration of the island. I will see Santiago, Baracoa etc, take a slow trip through the eastern provinces. 1) For Cayo Coco and Cayo Santa Maria, my understanding is that there are no Casa’s on there and you have to stay on a nearby town. For Santa Maria there is 1 hour bus ride? Is that correct? But there is no bus for Cayo Coco… you have to hire a taxis? 2) Kay Largo I read there is 1 budget hotel there called Minerva. Is it any good? One of my projects is to visit the most beautiful beaches in Cuba. I read Key Largo has the most beautiful! 3) Also I want to learn congos/percussion is there a place to do that? Is there some school in Vedado? Performing arts or something. 4) I would also like to photograph a ballerina in an abandoned mansion. When I visited the Ballet school last time I could not get entry. Do you have any idea how I could photograph some dancers/ballet? 5) Also I want to film acoustic musicians, like double Bass, guitar, singers? Are there places non touristy where local people hang out and play music? 6) For accommodations, in Havana, how hard would it be to find a rental place for under 20cuc per night? 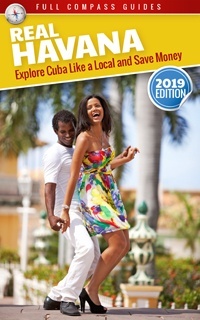 Eastern Cuba is great and far removed from the large tourist centers. You will have a great time meeting locals, that is for sure. I have been to most of the places you mention. Santiago is hot but nice and there are not many tourists. The night time action is fun and you will see many locals in the street, dancing and playing music, especially around the plazas. A lot of the young people are now obsessed with the internet and they tend to be fixated on their phones, around the wifi spots at night, but there is still good action and fun to be had. Baracoa is a lot slower and relaxed too. The town was hit by a major hurricane last year and has suffered but things are getting back to normal. The night life is calm but fun, in the town squares at night. Both Cayo Coco and Cayo Santa Maria have beautiful beaches and rated among the best. There are no casas on the keys, only resorts. You would have to book a casa in the nearest town. For Cayo Santa Maria, it would be Remedios and for Cayo Coco, it would be Moron. Both are small towns. You would have to take a taxi to the beach on the keys. Honestly, these areas are made for resort vacations. Staying in a casa would be inconvenient and probably more expensive, once you factor in the taxi rides to the beach. I do not think there is a bus. The taxi rides are at least 1 hour, depending on which end of the beach you want to see. I am not certain about the hotel Minerva in Cayo Largo. I have never heard of that hotel. Cayo Largo is on the other side of the island and would likely require an internal flight. The beach is beautiful, but I have only been once due to the expense and time of getting there. Again, there are only large hotels. For the ballerinas, you will not be allowed into the schools or back stage at the performances. These areas are off limits. Your best bet would be to wait around near the school and try speaking to a ballerina when she leaves. You would probably have to pay her, but I’m sure she would be down for a photo shoot. Or else, there are often ballet performances in old havana, and dancers in the plazas in any town or city. You can approach some dancers and explain your idea. This would be the easiest way to get some dancers involved. I do not think there are any schools for bongos or percussion. I have not heard of any courses for this. 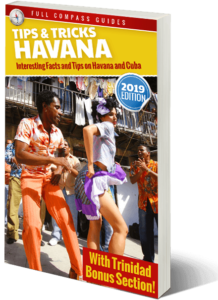 If you see somebody with bongos in Havana, probably along the Malecon, you can simply ask them to teach you, and pay them a few dollars. In Havana, the musicians need money and the best ones all go to the tourist locations to earn their living. In other cities and towns, where there are fewer tourists, the musicians have to earn their living by playing for local Cubans. You will have the best success of filming local musicians in smaller cities and towns. I was in Holguin about a year ago and I love that small city. The main plaza has musicians almost every night and it is well lit and the people in the plaza are 90% locals. I have seen the same thing in Santiago and most small towns in eastern Cuba. Filming a local musician with locals all around will be easy in eastern Cuba. Finding a rental in Havana for under 20cuc per night will be hard. How many nights do you plan on being there? A cheap house that I have used many times is Casa Silvia (http://bestcubaguide.com/portfolio-items/casa-silvia-independent-apartment/) Even my brother went there last week. It’s not luxury, but it is independent and pretty large. It’s 25cuc per night but I can try to negotiate a bit if you stay a week. This reply was modified 1 year, 7 months ago by Mario.